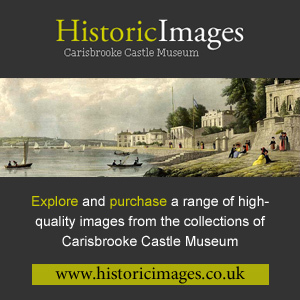 Carisbrooke Castle Museum was founded by Princess Beatrice, daughter of Queen Victoria, in 1898 as a museum of local history. “It is my earnest hope and desire,” she said, “that with the help and co-operation of others, I may be able to form a full collection of objects of historical interest connected with the Island.” The Museum collections still reflect Princess Beatrice’s aspiration, and the mission of the Museum is to collect and record the history of the people of the Isle of Wight and make it accessible to all. Further information on the Royal foundation of the Museum is available on this website. 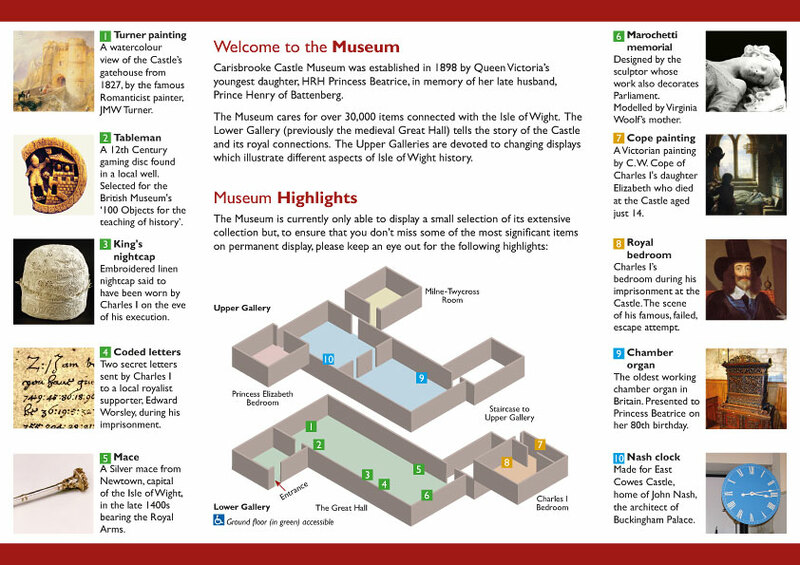 The Museum is only able to display a selection of its extensive collections, but ten of the most significant items on permanent display are described briefly below or in more detail here and marked on the corresponding floor plans. These and many more exhibits can be seen during a visit. 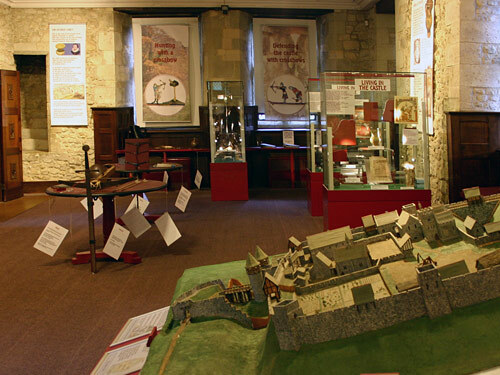 The Museum holds many important collections, which span the history of the Isle of Wight from Roman times to the present day. The turbulent medieval and Tudor history of the Castle is revealed by the objects on display recovered from the Castle excavations. These include chain mail and cross bow bolts alongside the personal possessions of the Castle inhabitants. King Charles I and two of his children were kept prisoner at Carisbrooke Castle during the English Civil War period. There is a small collection of the King’s personal possessions which he used prior to his execution in 1649. The Museum has over 5,000 paintings, prints and drawings including work by JMW Turner, John Nixon and John Buncombe. They represent both local topographical scenes and Island personalities. Professor John Milne FRS (1850–1913) was the founder of the science of seismology and the study of earthquakes. He lived on the Island and the Museum now houses his papers and photographs illustrating his life’s work first in Japan and then on the Isle of Wight. The Museum has a large social history collection of objects associated with both work and domestic life. These include agricultural tools, lace, clothes and shoes, coins minted on the Isle of Wight, local pottery and even the tower clock from East Cowes Castle. For a number of years, the Museum has held a successful winter Toy Exhibition which demonstrates learning through play by using the extensive collections of toys and games held at the Museum. The Island has strong military history going back to medieval times and the Museum is home to two collections of military material, encompassing the Gough-Calthorpe collection, and the photographs, cups and uniforms of the local volunteer battalion the Isle of Wight Rifles. Queen Victoria encouraged her recently-widowed daughter Princess Beatrice to set up Carisbrooke Castle Museum in the gatehouse of the Castle 1898 in memory of her husband, Prince Henry of Battenberg. From 1899, the Princess took on the role of Governor of the Isle of Wight and lived part time at Carisbrooke Castle for the rest of her life. She entertained many members of the Royal family here.